RedCloud (2 jaar geleden) #11366932What is this new magi merch thou speak of? heathersaur (2 jaar geleden) #11127561We have been! It's mostly Sinbad no Bouken merch though. 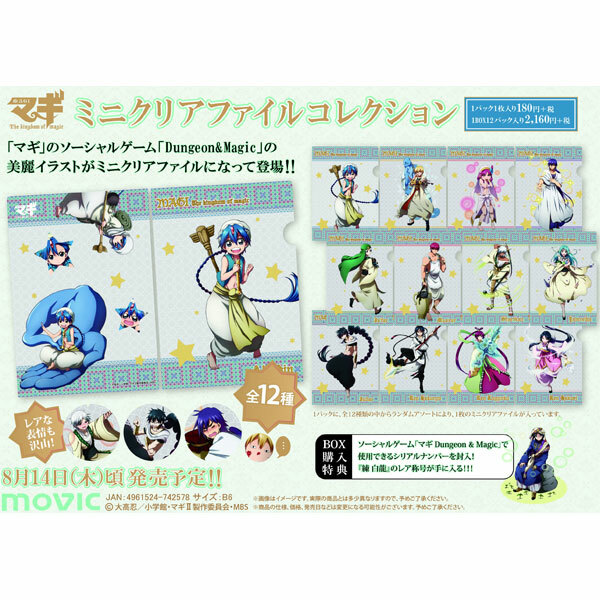 What is this new magi merch thou speak of? Haneoka (2 jaar geleden) #11127159The new spinoff prequel anime Magi: Sinbad no Bouken is airing currently, maybe we'll get some new merch as a result. We have been! It's mostly Sinbad no Bouken merch though. Akira (2 jaar geleden) #11003672I'm wondering If we will ever see more Magi figures at all. The manga is on It's final arc. I don't follow the anime because of obvious reasons so I have no idea if they are planning to make more seasons, but I do know is not airing rn which makes the chances at figures (rereleases or new ones) slim. sigh. I wonder If a company like Koto will take the license in the future or something. I would like to see their take on Magi figures, and they will probably complete the Main cast set. But lol Bandai so yeah. The new spinoff prequel anime Magi: Sinbad no Bouken is airing currently, maybe we'll get some new merch as a result. RedCloud (2 jaar geleden) #10910921I can't be the only one who is dumbfounded at the lack of scaled Magi figures? I'm wondering If we will ever see more Magi figures at all. The manga is on It's final arc. I don't follow the anime because of obvious reasons so I have no idea if they are planning to make more seasons, but I do know is not airing rn which makes the chances at figures (rereleases or new ones) slim. I can't be the only one who is dumbfounded at the lack of scaled Magi figures? I finally managed to find these, a full set. DHL from Mandarake delivered him for just under 1 day, wao! I would love to find him a partner, but Seredine... She may never get a release..